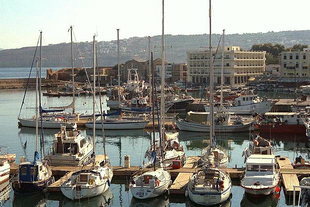 The harbour and marina of Chania are on the north side of the city. The entrance to the harbour is easily identifiable by the Venetian lighthouse and bastion at the mouth. 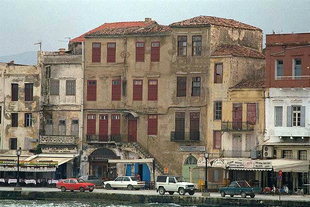 Farther in on the quay, the domed mosque and houses of the harbour are evident. 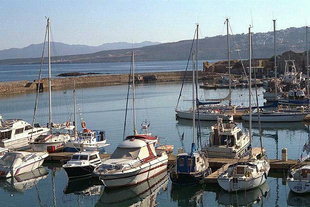 The entrance to the inner harbour and marina are to the left immediately after entry. 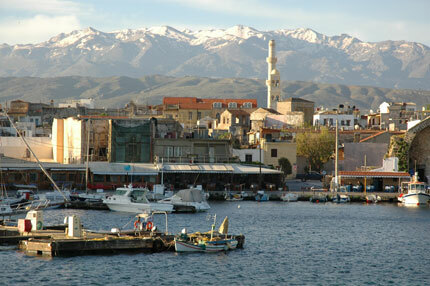 Chania is a Port of Entry therefore Customs and Immigration Offices are on the quay as well as Harbour Police. The new marina has electricity and water facilities on the docks. 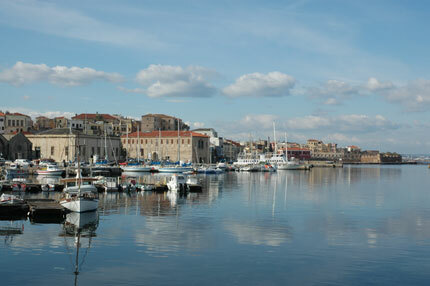 The city of Chania has repair shops, plenty of stores for provisions. Fuel can be brought to the quay. 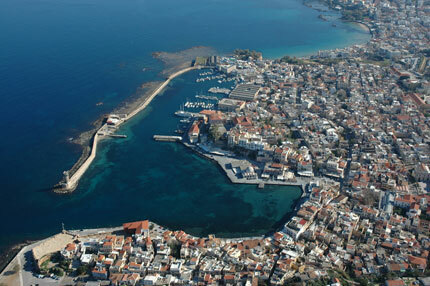 There is also a General Hospital in Chania as well as private clinics, doctors, dentists, and pharmacies. The Telephone and Post Offices provide all means of communication. 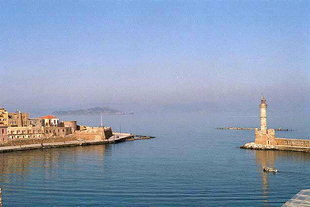 There are a great number of tavernas and hotels in the harbour and throughout the city. 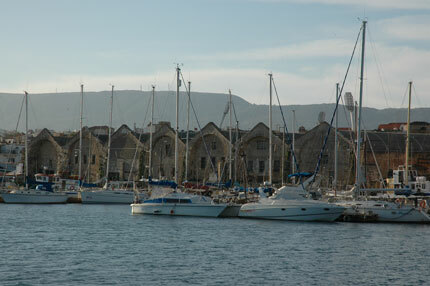 The stern-to and bow-to mooring provide good protection from all types weather. 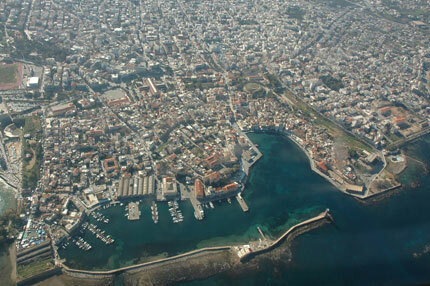 This combined with the new marina and the facilities of the city make Chania a good wintering harbour as well as summer port. The approach to the harbour is difficult in strong winds. 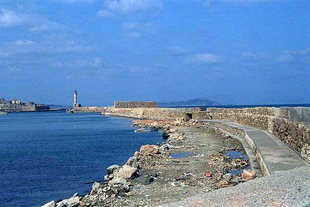 There is a man-made breakwater west of the entrance. The lighthouse on the east side of the harbour entrance is lit at night. The breakwater west of the entrance also has a flashing lit buoy. The inner harbour entrance has lights on either side (red on the north, green on the south).